Book your private charter flight to Belize, a nation located along the eastern coast of Central America. 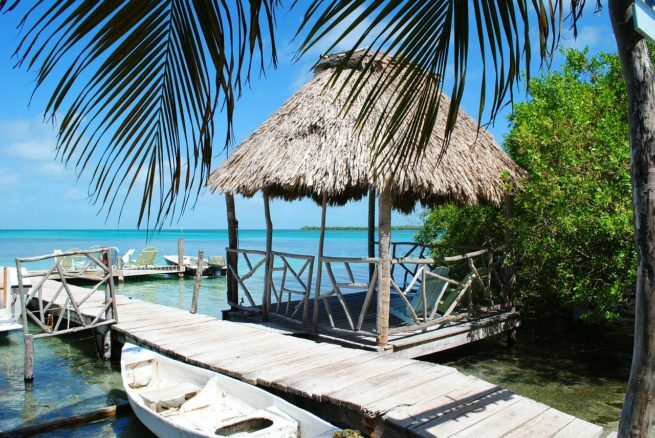 Belize is one of the Gulf of Mexico’s most popular luxury destinations for luxury charter flights, known around the world for its September Celebrations, extensive coral reefs and punta music. Hiring a luxurious, comfortable private jet to Belize City’s (MZBZ, BZE) Philip S.W. Goldson International Airport is the best way to get to and from this tropical paradise, and our team at Air Charter Advisors offers the highest standards in private air travel to Belize and surrounding areas of Central America and the Gulf of Mexico. ACA offers on-demand charter flights to/from Belize City, and with instant access to thousands of private planes located around the world, we’re confident we can arrange the right aircraft for your trip, whether you’re flying internationally or domestically. Our private jet charter brokers are Wyvern-certified, and all of the aircraft we use for private flights to Belize and surrounding areas of Central America are operated by FAR Part 135 (or foreign equivalent) air carriers. We run third-party reports to eliminate any risk, connecting you to sleek, modern jets and props, along with veteran pilots and luxury concierge services. Our list of distinguished clients has grown to include royal family members, heads of state and C-level executives from major companies; we’ve also arranged flights for celebrities, personal assistants and leisure travelers from around the world. Enjoy the peace of mind you get from working with a Belize air charter company you can trust, and let us become your private aviation solution for luxury air travel, aircraft acquisition and private jet management around the world. Call us at 1-888-987-5387 or request a quote for your charter flight to/from Belize. Our team is here to help you with all of your needs, from booking your plane and creating your flight itinerary, to arranging gourmet catering, luxury ground transportation or meeting any other requests you may have – consider Belize Jet Charter your one-stop shop for all things private aviation in Central America. Charter a private jet to Belize and enjoy one of Central America’s most unique luxury destinations. The only country in Central America without a Pacific coastline, it’s bordered by Mexico to the north, and maintains a rocky relationship with its western and southern neighbor, Guatemala (more on that in a minute). It’s also the only Central American nation to adopt English as its official language; if you’re wondering how it came to be the only English speaking nation surrounded by Latin speaking neighbors, the nation’s history tells the story. In the middle of the 19th century, it was conquered by England and was officially known as British Honduras until 1973. Nearly 100 years of British rule left a lasting impression on the island, one that includes the widespread use of English and its adoption as its Lingua Franca. Before all of this, however, Mayan civilization had spread into what is now known as Belize around 1500 BC, and it flourished there over the next two millennia. Despite all of the years of European conquest, many aspects of Mayan culture are evident here today. The in-land jungles are where adventurous jet charter travelers will find Mayan ruins, including Caracol, known for its towering pyramid; lagoon-side Lamanai, one of the largest and most in-tact Maya sites to be excavated in the northern region; and Altun Ha, a Mesoamerican archaeological site that was once a major Mayan city, located just outside the capital city. The nation would go on to gain its independence in 1981 and become a member of the Caribbean Community (CARICOM), the Community of Latin American and Caribbean States (CELAC), and the Central American Integration System (SICA) – it’s the only nation to hold full membership in all three of these regional organisations. Although its independence was recognized and it was admitted into these organizations, Guatemala claims ownership of all or part of Belizean territory to this day, and relations between the nations can get contentious, requiring mediation from the UK, the United States and neighboring central American nations. 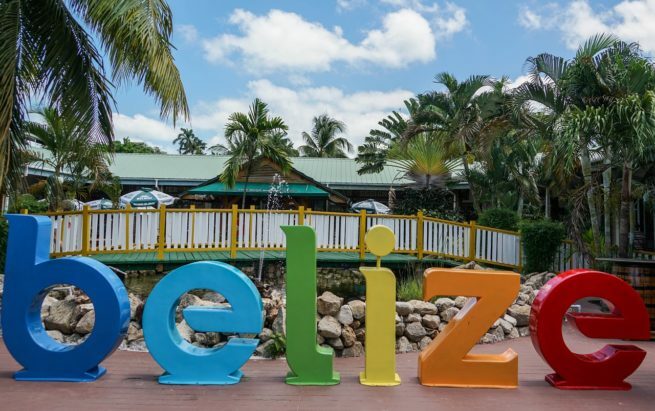 Today, Belize is home to the lowest population density in Central America, which helps to maintain a pristine environment, one that includes the world’s second largest barrier reef. Speaking of which, the country is home to a rich variety of terrestrial and marine species, and its diversity of ecosystems give it a key place in the Mesoamerican Biological Corridor. 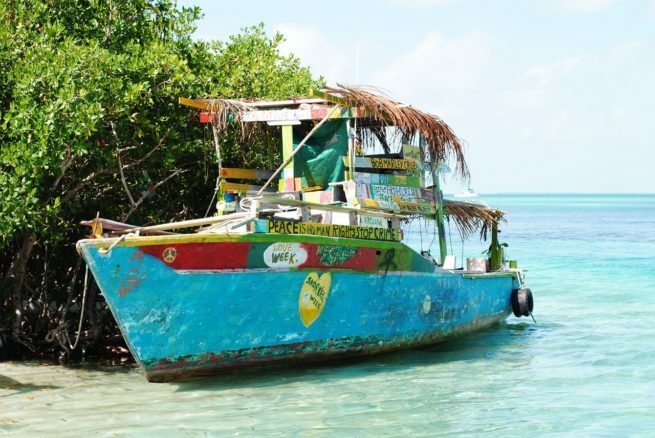 The sandy beaches of Belize City and San Pedro are where you’ll find the most luxurious accommodations and attractions, while the jungles to the west and the south are where you can explore the best ruins. Belize’s barrier reef attracts scuba divers and snorkeling enthusiasts from around the globe, and several of its national parks are perfect for outdoors lover and are considered by some to be a birdwatcher’s paradise. Sports fishing and luxury yachting is very popular around the tourist islands, and if you’re interested in chartering a private yacht, our team can assist in arrange the right luxury yacht for your trip. Enjoy traveling from island to island with your own private yacht, catamaran or sailboat. Tourism is the main component of the economy in Belize thanks to a combination of natural factors. The country has an amazing tropical climate, the world’s second largest barrier reef, and its home to over 450 off-shore islands to explore. The waters offer outstanding sport fishing, calm waters for boating, scuba diving and snorkeling, and rivers for rafting and kayaking. Inland offers our private jet charter clientele the opportunity to enjoy jungles and wildlife reserves full of a variety fauna and flora; ancient Mayan ruins to explore; and a variety of national parks for hiking, biking and bird-watching. Aside from its thriving tourism industry, the country is home to an enterprise economy primarily based around the export of petroleum and crude oil, sugars and bananas, and industrial minerals. Business and executive travelers flying private to Belize can benefit from the level of service we provide as well. Our private charter brokers are Wyvern Certified, following safety standards and due diligence processes that meet and exceed the requirements several Fortune 500 companies use for their corporate fleets. Our team takes the privacy, safety, and comfort of our clients very seriously, and we diligently review every detail in the latest Wyvern PASS reports for pilot safety, aircraft maintenance and operator history when arranging every private flight. After booking your next private flight with us, you’ll know you have a partner you can work with for every flight you need in the future. If you have a private or corporate aircraft that has a mechanical issue, or you need to arrange simultaneous trips for your business executives, we can arrange a supplemental lift in as little as 4 to 6 hours. Our private aviation team also offers unlimited quotes with no obligations – fractional owners and jet card members can call and compare us to your current plan! It should come as no surprise that Belize is home to some of the most outstanding, luxurious resorts in all of Central America and the Caribbean. Before you set out to marvel in the presence of Mayan ruins, gaze into jungles teeming with exotic wildlife and splash your way across crystal clear turquoise waters, you’ll need to have your accommodations in order. Las Terrazas Resort & Residences and Almond Beach Resort & Spa are two of your top choices, but our favorite resort is Cayo Espanto. Located 3 miles off the Belizian coast, this exclusive Caribbean retreat only offers 7 butler-serviced beach villas. It should be noted that there is a four-night minimum stay, which increased to seven nights between 17 December and 6 January and 14 over Christmas and New Years (exceptions can be made depending on availability). After your private charter flight arrives in Belize, we can arrange to have luxury ground transportation standing by, and if necessary, a luxury water taxi to get you to the resort of your choice. Request a Quote or give us a call at 1-888-987-5387 to speak with one of our private jet charter brokers for your next luxury private flight to Belize. We can help choose the right aircraft for your flight, and handle all of the travel logistics so you can focus on your holiday in Central America.